Geomatching is much more than geofencing! Turn static geofences into moving virtual perimeters to trigger proximity detection of people, goods and services in movement. Use matchmore to easily create traditional as well as moving geofences. Create dynamic geofences around mobile phones or other connected IoT objects. 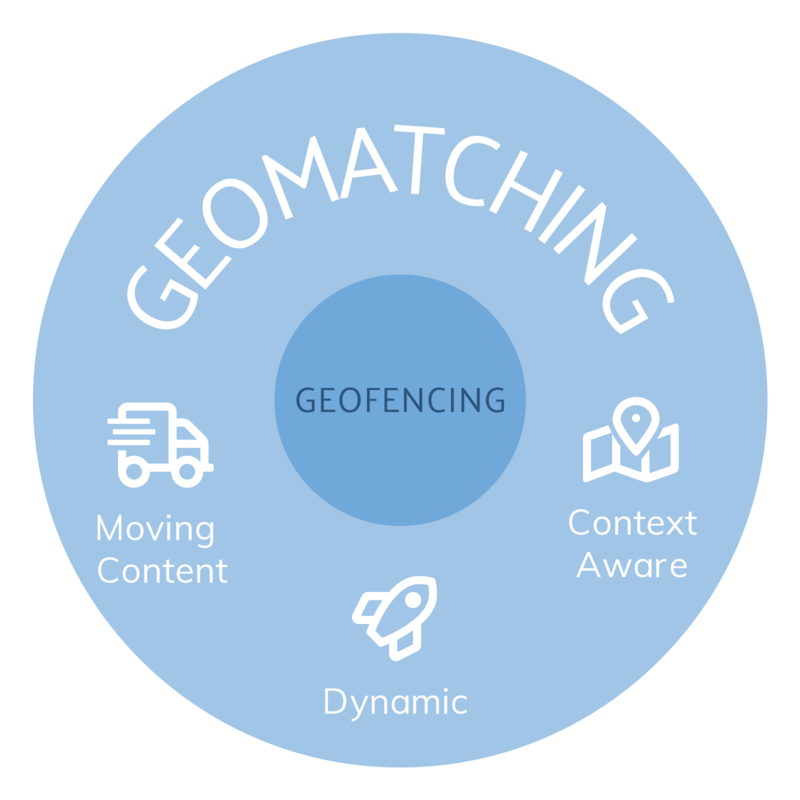 Use matchmore to push or retrieve different kinds of information from the same geofence depending on users’ characteristics and preferences. 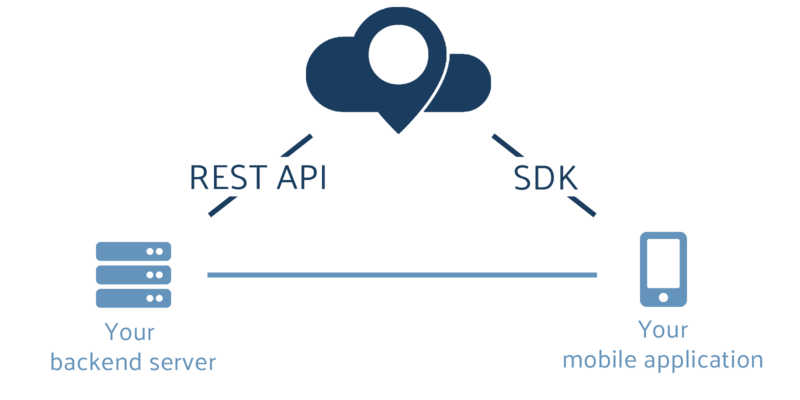 Deploy your mobile or IoT application on any platform. Our technology works well with GPS, Beacons, QR codes and other Bluetooth connected objects. matchmore allows you to deploy indoor and outdoor tracking through creation of proximity detection. 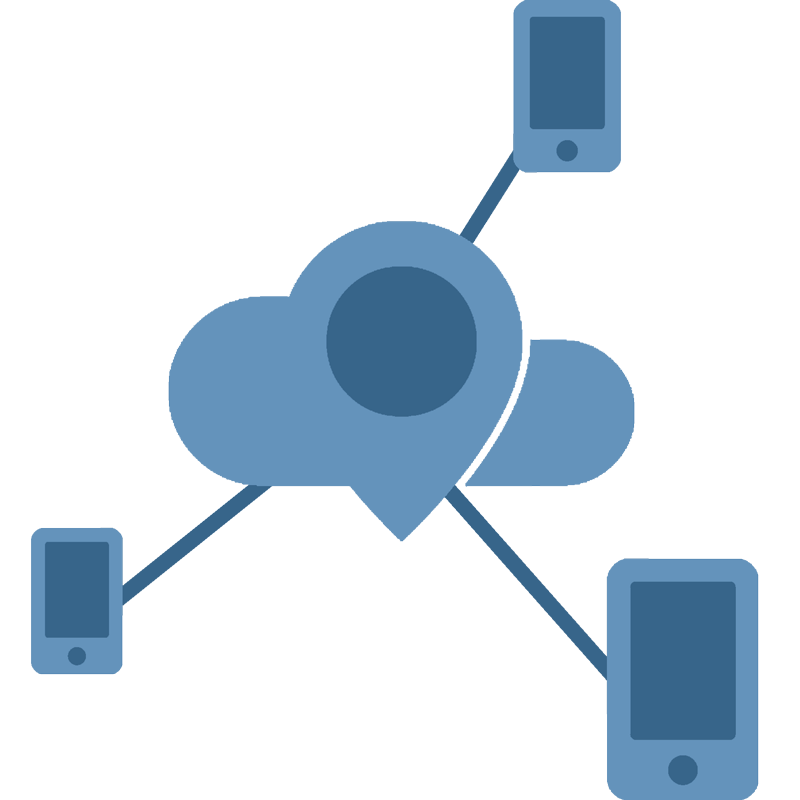 matchmore provides an unified communication model for all connected objects, no matter what type, hardware or protocol. The technology takes care of the complexity when connecting heterogenous objects. Thanks to the low number of lines of code, matchmore SDKs ease the development work. Build up and run prototypes in minutes, and create complex scenarios with only a small team of developers. No need to develop your own backend logic. Rely on matchmore powerful matching algorithm to ensure high throughput of your system and eliminate the risk of failure when developing. matchmore completely handles the complexity related to associate and share context information of any connected object. Let your users be aware of what surrounds them using static and moving geofences. In this case, being able to precisely define a matching range becomes crucial. Having a validity period for your publications and subscriptions allows you to define exactly when a match should or should not happen. In certain situations, the absolute location can be difficult to obtain precisely. In that case, the preferred context may be the relative distance between two different objects. With the expansion of matchmore ecosystem to new IoT devices we plan to add more and more context-awareness into the hands of our users. Contact us to have your IoT device integrated in our ecosystem! Using matchmore cloud service, you don’t need to size, provision or scale servers to run your app. There is no need to manage operating system updates, apply security patches, or monitor the infrastructure for performance and availability. matchmore unique architecture allows you to scale up instantly in order to manage a growing number of moving publications and subscriptions, while maintaining low latency in terms of match computation and delivery. Every price plan includes the full stack. Take advantage of all the tools such as well-written documentation, several different SDKs, Phomo and many tutorials. 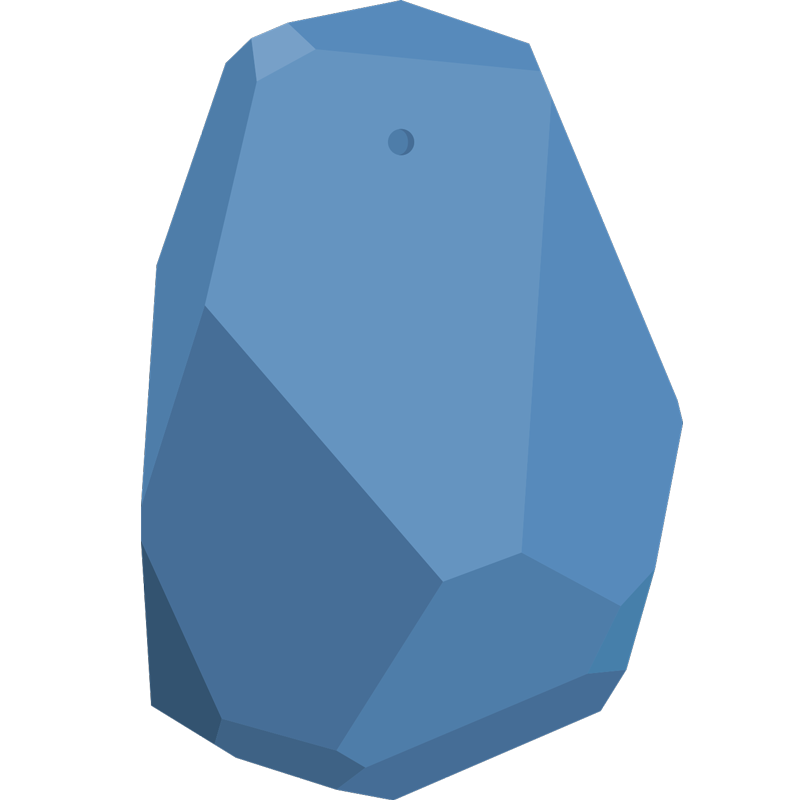 We aim to extend our platform for additional SDKs and components. 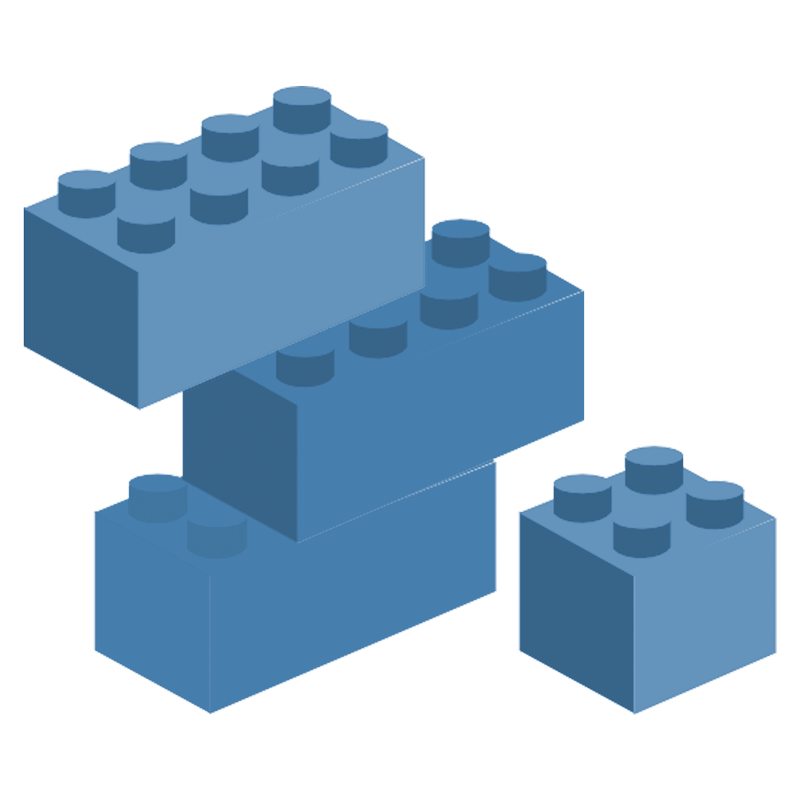 Please get in touch with us if you wish to see any additional SDKs or components at our platform.